Book 2 Kickstarter is shipping! Just a note to say the rewards are now shipping in the US. It might take a few days to get them all out. You should get an email when it ships. International orders went out last week. I think most of them are in the mail. Undoubtedly there will be some screwed up orders or incorrect addresses, but I'll get the books to you one way or another. Art tiers (and a few special orders) have to be sent to me so I can package the artwork. They should be sent out this weekend. If you ordered the empty book 1 slipcase: I was worried about them being damaged during delivery, so I had them shipped directly to me to add some extra padding. Those will be shipped separately. I don't know if it will arrive first or last, but don't panic if you get a box with one empty slipcase. Your other books are on the way. You can now buy both books at the store. 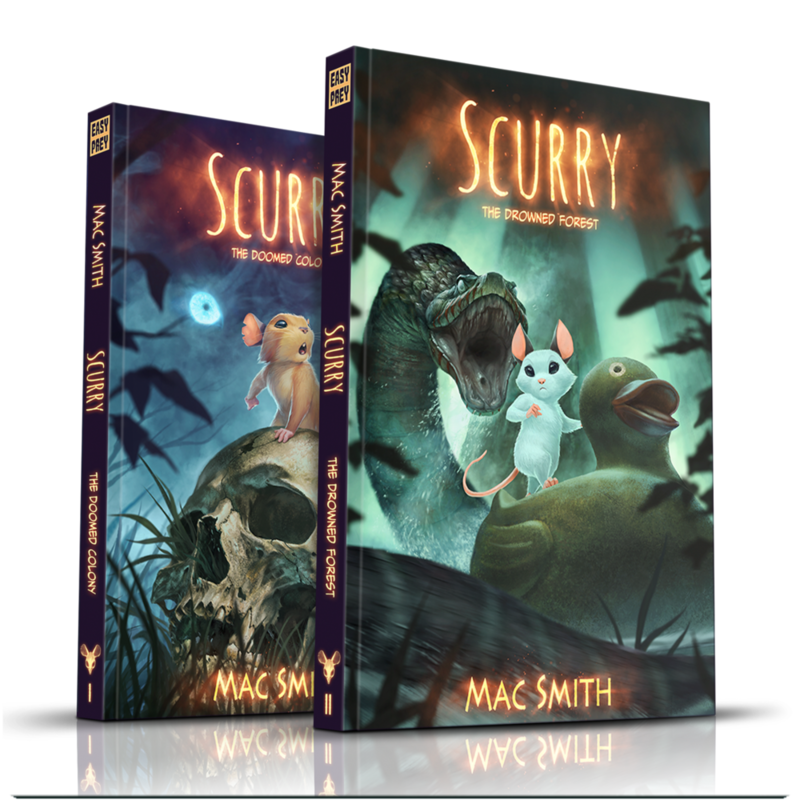 Scurry Book 3 Kickstarter is live!